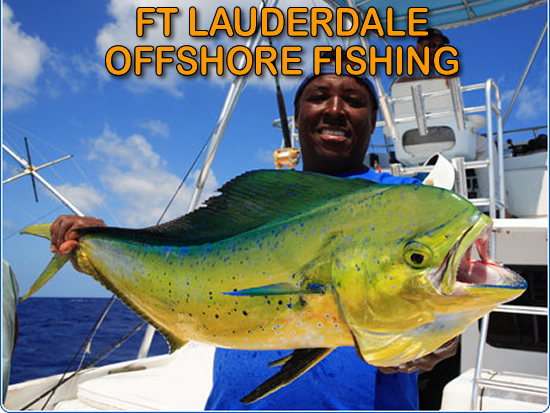 Fort Lauderdale offshore fishing is just three miles off the beaches of Fort lauderdale. Its really nice, you’re fishing within 20 minutes of leaving the beach! Our Ft Lauderdale Charter Boats are economical charters that “bottom” and “drift” fish for species like Grouper, Snapper and Cobia. It’s a perfect day for a family to enjoy the deep blue sea without breaking the budget! Fort Lauderdale is known as one of the top deep sea sport fishing destinations in the world. Fort Lauderdale, Palm Beach and Miami are home to a wide variety of beautiful big game species Marlin, Sailfish, Wahoo, Dolphin, Cobia, King Mackerel, Tuna, Shark and Sword fish. We offer knowledgeable Captains and crews that have the ability to handle the big game action when these sport fish fight. There are so many options in Ft. Lauderdale, call us 800-313-3470 to find out which is best for you! We offer a variety of Fort Lauderdale offshore deep sea guided fishing charters are available off the coast of Ft Lauderdale Beach. Each trip offers its own variety of some hard fighting fish, that are prized not only for their ability to put up a great fight, but also for their food value. First we offer a near shore guided fishing trip just off the beaches of Ft Lauderdale. Geared towards the more adventurous fisherman in search of larger game fish. This trip is a bit less laid-back than our offshore trips and the size of fish being targeted are much larger. For those looking for a big time fishing adventure on the high seas, Our Fort Lauderdale Fishing Charters offer offshore guided fishing charters in the deep waters of the Atlantic. You’ll fish 10 to 15 miles off the coast of Ft Lauderdale, in search of some of the most prized game fish the ocean has to offer. You’ll spend the day trolling in pursuit of dolphin (mahi-mahi), wahoo, and tuna. If you would prefer, you can fish deep wrecks, or drift drop-offs and deep ledges in search of grouper, cobia, snapper, and a variety of other species. Be sure to check the “What Biting” tab to see when is the best time of the year! These are some of our Fort Lauderdale Fishing charters going out which are extremely popular activity for locals and for visitors. We offer many types of fishing charters in Fort Lauderdale, from inshore, bass fishing to deep sea fishing where you’ll be hunting big game fish in the rich waters of the Atlantic Ocean. 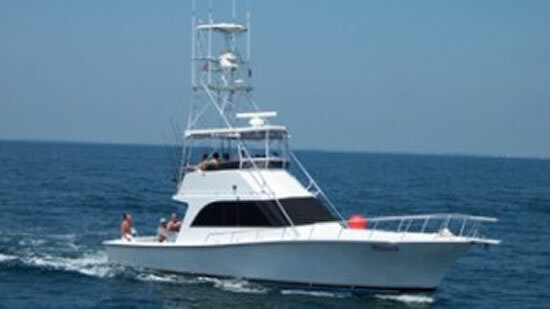 We arrange Ft Lauderdale fishing charters on a variety of different types of boats for as little as half day (4 hours), on up to multi-day fishing expeditions. 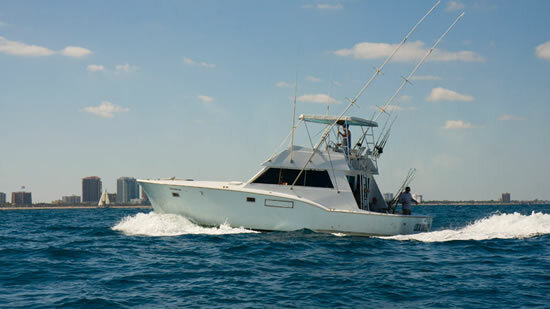 With our expert local knowledge, we’ll help you find the best fishing boat in Ft Lauderdale at the best price possible. 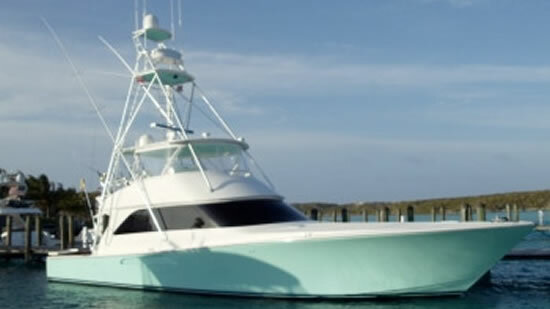 Our type of sportfishing boats are the quintessential fishing machines. They are designed for speed and seaworthiness in a variety of conditions. The traditional sportfish design consists of a long bow, followed by the cabin, and behind it a large fishing area. Over the cabin is the “flybridge” where the captain steers from. Some sportfishing boats have a tower above the flybridge, which is useful for spotting certain types of fish. Additionally we have smaller “open fishermen” style boats available which normally are a little more economical. Howard grew up Fort Lauderdale Offshore Fishing all over South Florida and takes pride in sharing his experiences of big game deep sea fishing in the Florida straits with our friends. Our Deep Sea Sport Fishing is a team effort that includes the crew and anglers. Together the Captain Howard and his crew has over 25 years of South Florida Sport Fishing experience and routinely out fishes the competition! You will not only catch fish, you will have a very memorable time while learning the tricks of the trade of Ft Lauderdale fishing! Captain Howard is an experienced captain with many years of the local waters and fishing knowledge. Captain Howard recognizes his expertise can often be the difference in creating a memorable day of fishing and a nice boat ride. He is ready to show you, your family and friends a great day on his boat! Captain Jay has been fishing his entire life. Jay caught his first fish with his father at the age of 18 months! That first 2lb flounder was the beginning of a rewarding and wonderful thirst for fishing. Captain Jay is a fourth generation fisherman. His first paid fishing job was at the age of 13 as a second mate on the “New Popeye” -an 85 foot party fishing boat. He not only knows how to snag the big fish- he also is a fishing rod builder! “My great grandfather was a rod builder, and I still have a few of his hand made split bamboo rods!” A true joy you will get when fishing with Captain Jay is experiencing his hand-crafted rods first hand- every fishing rod on the boat was built by him! Captain Jay will show you the BEST fishing experience fort Lauderdale has to offer! With over 28 years in the marine industry, and a lifetime of experience in hospitality, Captain Kevin is a well-informed and diligent individual with a strong sense of loyalty and teamwork. With his knowledge and undeniable sense of humanity, Captain Kevin ensures every passenger an exciting and memorable experience, no matter where the charter leads. At the age of 18, Capt. Kevin became the youngest person to catch an 802 lb tiger shark off land on rod and reel in Miami Beach beating the record held by a local legend for over 20 years. This was a pinnacle moment in his life, and several years later he attained his 100 ton USCG master captains license. His passion for fishing took him back to Puerto Rico and St. Thomas in pursuit of the lucrative blue marlin. Captain Stan started out fishing at the age of seven with his father and brother. He fished the piers and aboard drift-fishing boats at Haulover Beach in Miami, Florida. Captain Stan decided to put his skills to work for him and started working on the all day drift-fishing boats as deckhand. He quickly graduated to first mate on the weekends at the age of thirteen! Fellow fisherman nicknamed Captain Stan as the “human fish” because he was so skilled at reading what would happen in the water each day: what fish were biting, what lure or bait to use, what location certain fish were hanging out. Come Fish with Captain Dean also known in the local angling community as “Famous”. Capt Dean has a been fishing South Florida waters from Fort Lauderdale to Miami and if very good at what he does which is catching Sailfish and Swordfish. Captain Dean is dedicated to providing you with an angling experience of a lifetime. He has been fishing the South Florida waters for over 24 years and is a proven tournament winner. Speckled trout are a river, backwater and flats favorite. They are good eating and are fun to catch on live shrimp under a popper cork. Speckled trout hit surface lures in the mornings, and buck tails jigs really anytime of the day! Drift fishing across a grass flat- watch out! The barracuda is one of the most under appreciated game fish in Florida. They are big (up to 5 feet and 65 pounds), with their explosive strikes is a thrill one won’t forget. They run and they jump and dive- you’re in for a treat with one of these on the line! They can be found just about anywhere in Florida’s saltwater- plentiful in water depths of 3 to 5 feet. They can be caught on a fly or a tube lure on a spinning rig. There are many varieties of grouper in Florida- and most are tasty and delicious! Grouper are a bottom species that like live bait offerings and can put up a tremendous fight. In hooking and catching grouper it is primarily important in the first moments of battle to get the fish out of the vicinity of his home- be it a Wreck, Reef or other structure, if you do not- they will cut you off for sure! Certain species of grouper, the Goliath or Jew fish (these species must be caught and released), can grow to over six hundred pounds! Snapper are one of Florida’s most sought after and tasty bottom species. There are a number of snapper varieties and all are good to eat. It takes special tackle and technique to catch these wary fish- they are very sensitive to terminal tackle and presentation of bait. Fluorocarbon leaders are important part of your presentation. Snapper like shrimp, crab and other small crustaceans. Snapper like bottom cover like reefs, wrecks and other structure and can be found in all Florida saltwater bodies. Tarpon are one of the most exciting and sought after game fish to be found anywhere! The Tarpon is one of the most remarkable sport fish in the world, when hooked they perform acrobatic jumps which defy belief. Spin or fly casting with lures or live bait (crabs or shrimp) and big flies are effective ways to catch Tarpon. Tarpon are generally cooperative eaters, but their bony jaws make it hard to maintain a hook up, the result is that many fish throw the hook after a few jumps. Tarpon are not good to eat, but they are sure fun to catch! Dolphin, Mahi Mahi, Dorado. Whatever the name, the dolphin is a mainstay of offshore game species. They have a tremendous growth rate and make excellent table fare. Dolphin are primarily fished by the trolling method with artificial baits. Dolphin like pink and red and blue and white trolling skirts over fresh ballyhoo. Dolphin are a pelagic striking fish, meaning- if you get into a school you may be able to make your days catch in one sitting! The Marlin is perhaps the best known of the offshore fighting billfish next to the sailfish, the difference is you can catch marlin over several hundreds of pounds- the largest are over a thousand pounds. There are several species of marlin, the black, the white, the blue and the stripped. These are heavy duty warriors that take special gear and large artificial or natural baits. A Marlin catch is a lifetime accomplishment and to be envied by every angler. Marlin are found in nearly every ocean worldwide. Marlin fishing is strictly a catch and release proposition! Cobia are a very tasty fish! They are migratory and can be found swimming near and around the friendly giant Manta Ray. Cobia will respond to lures thrown tipped with ballyhoo and are primarily sight fished from the tower of an ocean going boat. Cobia can become very large and can really put up a bulldog fight! The Sailfish is a species beloved by the fisherman and Captain alike. These fish are acrobatic and present themselves at trolled bait with bill noodling in the air behind the bait, then striking with a slash and run! This is strictly a catch and release fishery. Sails are caught by kite, light spinning tackle, on fly and stand up rod and real. Truly a great game fish and most anglers’ first time bill fish. They will eat any trolled ballyhoo with or without a skirt. The don’t call it a Wahoo for nothing! When this top predator takes your bait, you will know it! The first run is a reel screamer! Wahoo are delicious on the plate and amazing underwater athletes, they seldom jump like other species but they can burn the line off of a reel and put the fear of God in any angler! Wahoo like dark lures trolled at high speed- eight to twelve knots. They are a toothy fish, so care needs to taken when brought on board. Wahoo can weigh up to one hundred pounds! The kingfish is the poor man’s Wahoo; they have saved the day on many a charter. 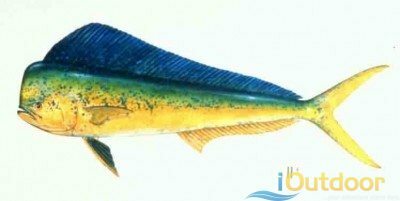 Kingfish are an aggressive pelagic species and love trolled bait or a pinfish drifted along the beach rigged with a circle hook and a trailing stinger treble. These fish can weight up to 70 pounds, and usually run in schools of twenty to thirty pound fish. Streaked, seasoned with Italian dressing and then grilled these fish can be tasty fare. Night time sword fishing has become one of the most popular Fort Lauderdale Offshore Fishing adventures South Florida has to offer. These are mysterious looking bill fish that live in the deep waters of both the Atlantic and Gulf waters. They can grow to enormous size! Swords love squid and are fished with a luminescence chemical light attached near the bait and at great water depths. We’re happy to provide you with a what’s biting and when chart below. If it doesn’t answer what you’re looking for, feel free to contact us. We’re happy to answer any questions you may have before booking, during, or after your charter. We’ve compiled a list of our frequently asked questions, but if doesn’t answer what you’re looking for, feel free to contact us. The Captain’s top priority is the safety of all crew and guests and therefore reserves the right to return to shore if he is concerned about the safety of any crew member or passenger. Please contact us for a catering quote. All Fort Lauderdale Offshore fishing deposits are refundable in accordance with the boats cancellation policy, which you can find on the booking page. If not otherwise specified, our normal refund policy is 72 hours prior to the charter. We typically release all species that are inedible (sailfish, sharks, etc.) unless you request otherwise. If you would like to “mount your catch” as a trophy our crew has been professionally trained to measure and photograph the fish so a taxidermist can create an exact replica. This allows the fish to survive and contributes to sustainable fisheries and environmental conservation. Please contact us if you would like to arrange catering. You should present the gratuity to the captain or the mate at the end of the charter. On most boats, the crew has an arrangement to split the tips received no matter who it’s handed to. All our deep sea boats are located as close to the ocean AND/OR inlets to maximize fishing time. Due to US Coast Guard regulations most charter boats are limited to a maximum of six passengers. Many of our boats are large enough to accommodate many more, but Federal regulations limit us to six. In some locations we offer an “Over 6” option on boats that have a special permit from the Coast Guard to take additional passengers. These boats have similar amenities to our other sport fishing boats. Some of our yacht charters can take over six passengers by using a special charter contract that allows them to accommodate extra passengers while still complying with the law. Please contact us for more information. Some exceptions exist such as with our boats that take over six passengers. On these boats there may be a charge for each passenger over 6. Seasickness is another term for motion sickness and typically manifests itself in the form of fatigue, nausea, and vomiting. In severe cases seasickness can lead to unconsciousness and requires professional medical treatment.